If you require various sizes of tubes and fins with varying production batches, we can offer flexible panel lines. The fast changeover time for tools makes the line flexible for different tube and fin bar sizes. An efficient control system makes it possible to use minimal production staff when batch sizes are small. Custom-made design enables enlargement of equipment from service station to mass production. The number of welding heads can be increased for more capacity. PEMA flexible panel production makes it possible to have a first-step investment to meet various production expansion needs. 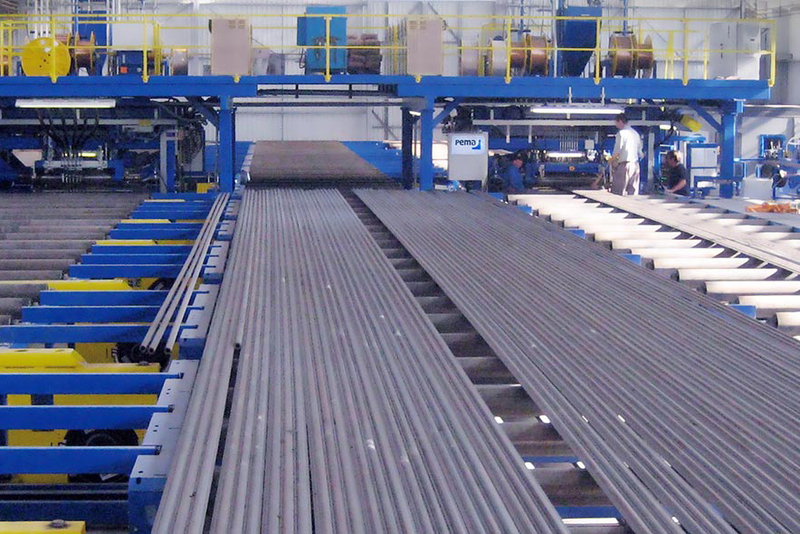 High capacity production lines with two welding machines are integrated with tube and finbar prefabrication systems. In high capacity production machines there are typically six Lincoln PowerWave power sources for SAW welding. SAW is a user-friendly process with no spatter, fumes or arc reflection and PEMA WeldControl 100 system with various options for production and quality data collection.